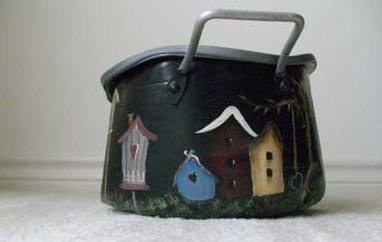 Vintage sap bucket would make a pleasant keepsake of simpler times. 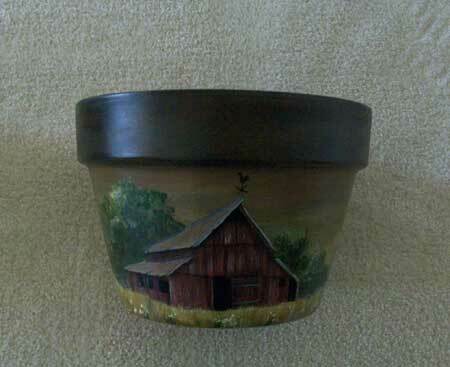 It is a sure winner for your country decor, and was a very fun piece to paint. 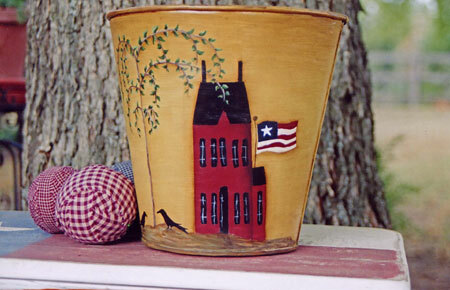 I think the skinny tree with the saltbox house and flag makes for an interesting painting. I also love the mustard color for the background and the dark red and black for the house. What have you painted lately, or not so lately, that you would like to share? To all my painting friends, thanks for stopping by and have a nice day. 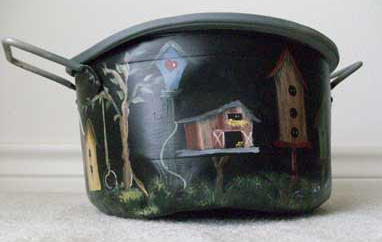 This entry was posted in Misc painted crafts and tagged crafts, hand painted, saltbox house, sap bucket on Wednesday, May 11, 2011 by Betty. Back to what Brung Me! Paints, Brushes, Books, and Patterns. Sap Buckets, lots and lots of Sap Buckets. Rusty Sap Buckets, worn out Sap Buckets, and Dirty Sap Buckets. 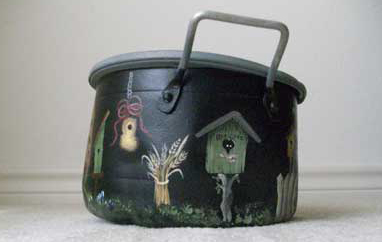 I painted this Sap Bucket to be used as a container to hold flowers, whatevers, or maybe even a waste basket. I double loaded my brush with different shades of green paint to get the desired look that I was striving for. I went around this sucker many, many times. I have a bad fault, perfection is something I strive for (It dosen’t always happen and often ends up in Bin 13). 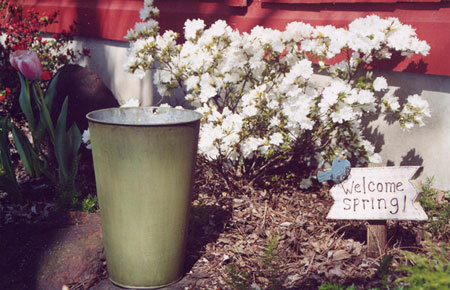 The Spring flowers and sign just came along for the ride. Happy painting to you all!!! 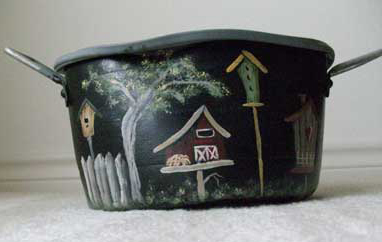 This entry was posted in Misc painted crafts and tagged crafts, flowers, hand painted, sap bucket, spring on Sunday, April 3, 2011 by Betty. OK the season is over. I know but I still like snowmen. 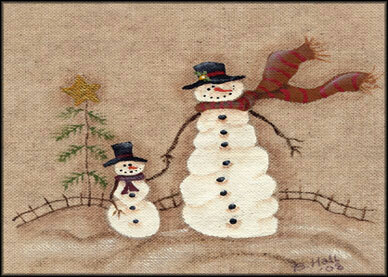 With all the snow everyone is having, it made me think of these little snowmen. I painted them on a piece of “duck” material that had been coffee stained. Feel free to copy and use this painting for any of your personal projects. The original painting was scanned to make this copy. 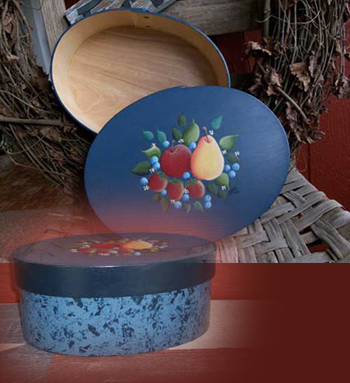 It can be resized as needed for your projects. Please let me know how you might have used this painting. 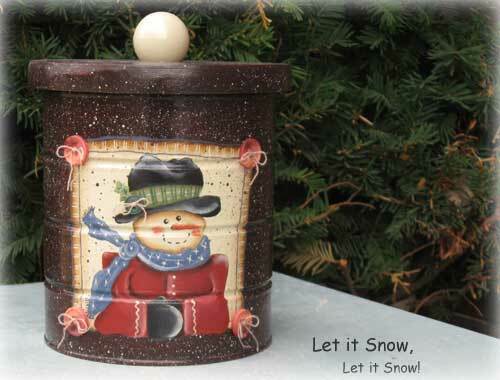 This entry was posted in Crafting & Painting, Misc painted crafts and tagged hand painted, snowmen, winter crafts on Wednesday, February 9, 2011 by Betty.